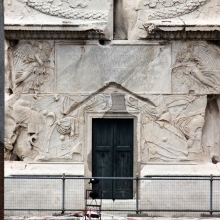 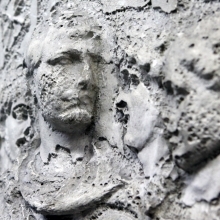 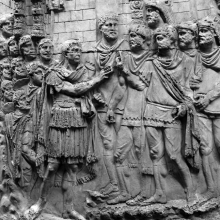 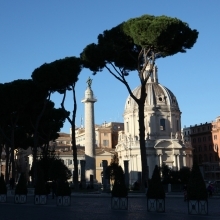 Decebalus appears several times on the Column of Trajan, although Trajan, his Roman adversary, is represented about ten times as often. 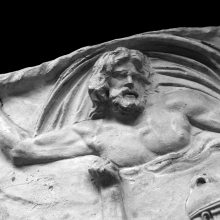 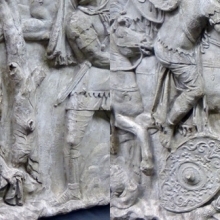 With one exception (Scene 93/XCIII), Decebalus is represented as a leader who acts as little more than a witness to the disintegration of his army and his kingdom. 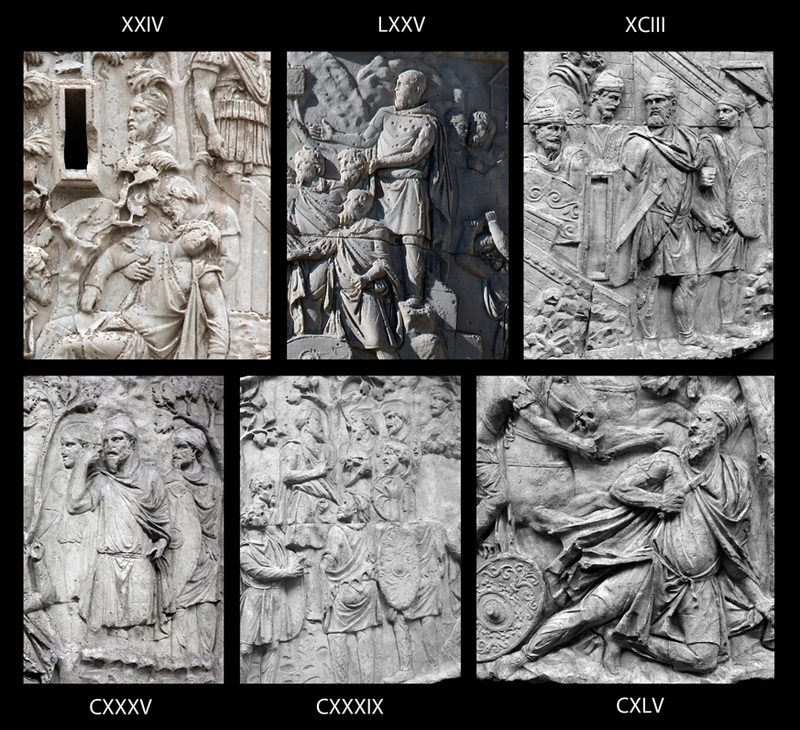 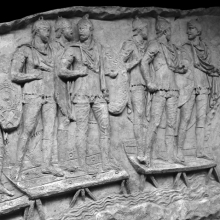 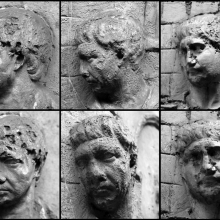 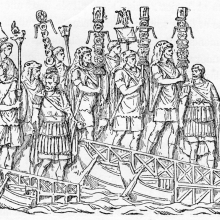 The images in the composite below include the six scenes that are most commonly identified as those which represent the Dacian leader. 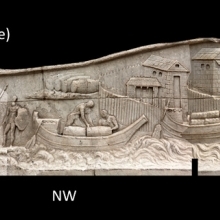 A click on the individual images provides additional information and closer views.